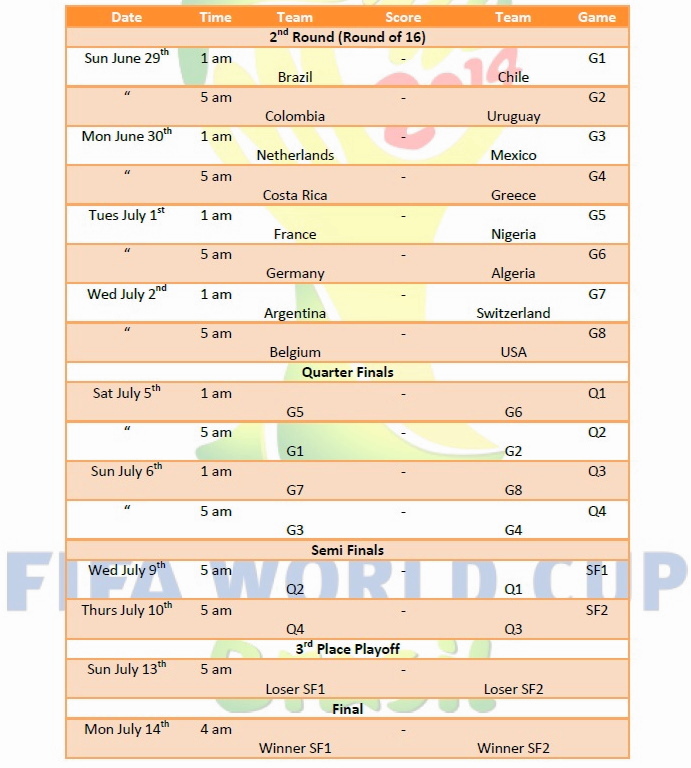 With the 2014 World Cup now less than a month away we thought we’d happy everyone out and list every single fixtures in English. 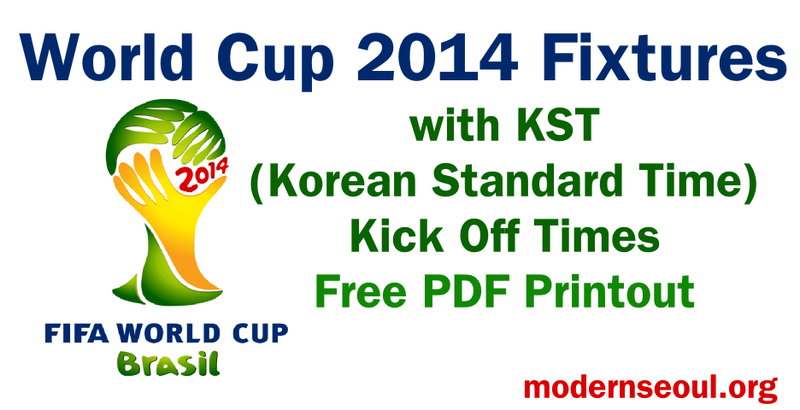 All of the dates and times on our free printout / download are in KST or Korean Standard Time and not local time in Brazil. 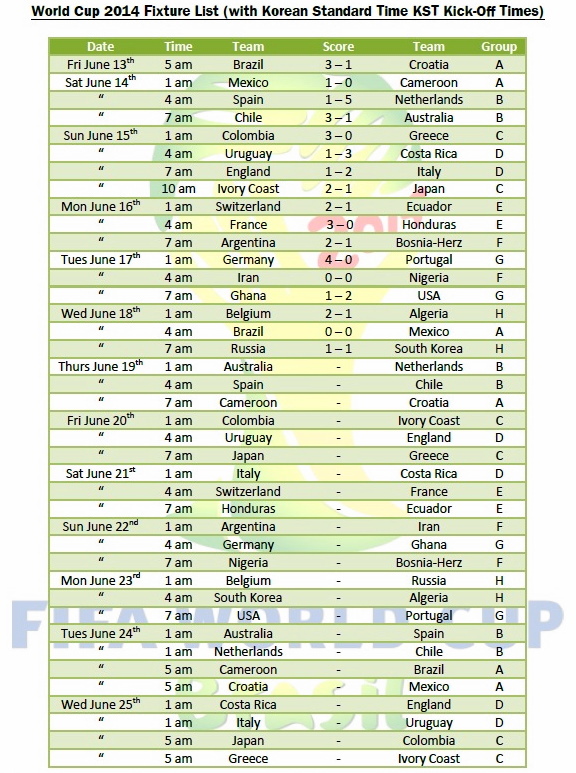 For example the opening game between Brazil & Croatia happens on Thursday June 12th at 5pm (Local Time & Date), however South Korea is 12 hours ahead and so the game happens at 5am the morning of Friday June 13th. 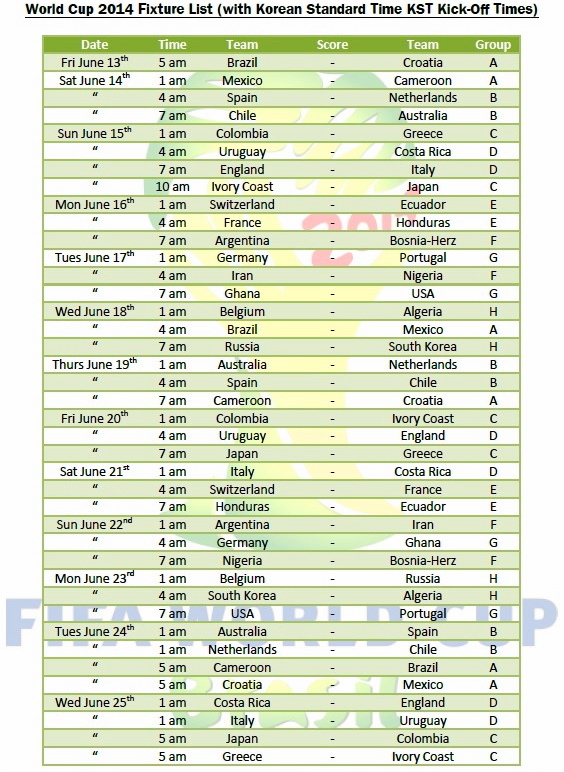 With the exception of Ivory Coast vs. Japan (June 15th) which starts at 10am (KST) all games are late at night or early in the morning. South Korea’s games all take place on weekday mornings and therefore interest locally maybe a less than previous years. But most bars will be busy and if the weather is nice outside venues may show the games. However England’s opening game vs. Italy kicks off at 7am on a Sunday Morning (KST) which means there should be good interest in that one. With the 1st round of games now completed we’ve updated the fixture list and included all of the results so far. 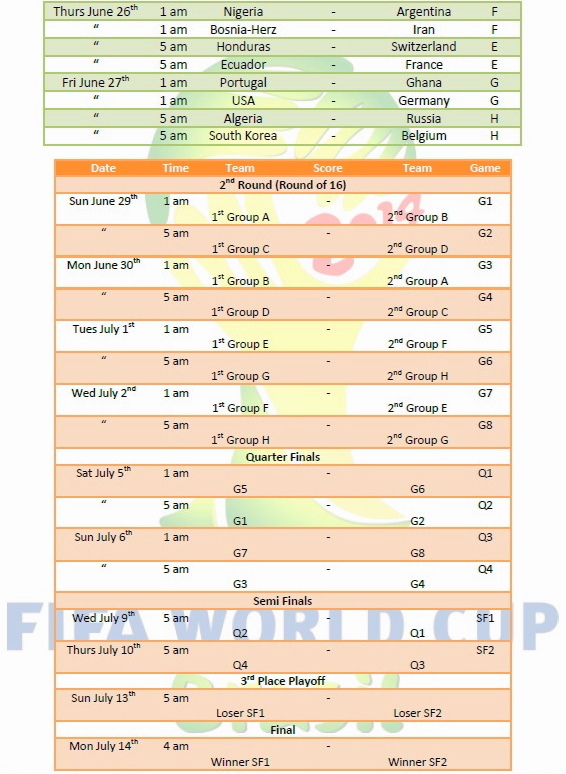 If you have any questions or comments regarding the World Cup 2014 or watching it in South Korea please feel free to let us know, either via email, our Social Media Homes or by commenting below. 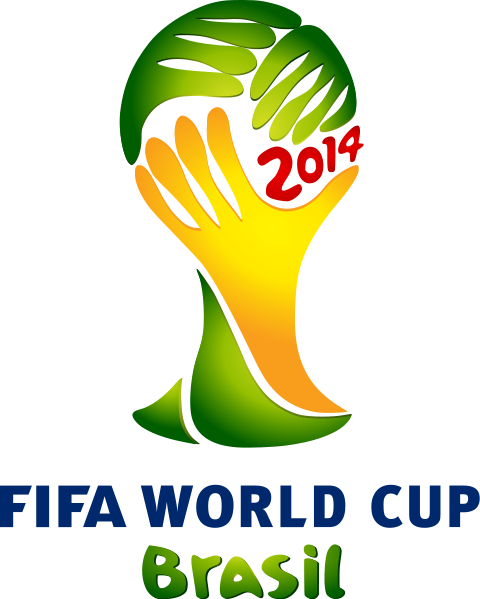 Thank you and enjoy the World Cup!